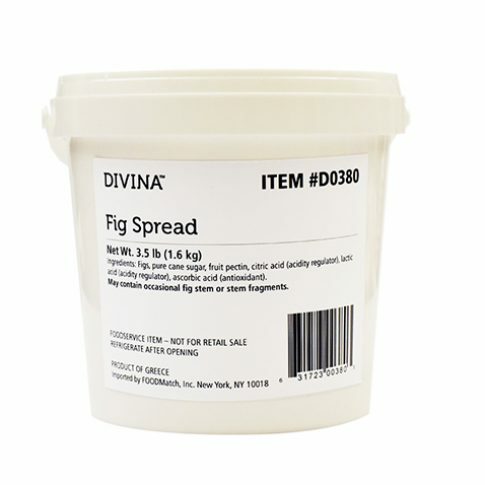 Divina Fig Spread, Bulk Pails - Zuercher & Co.
Crafted from Aegean figs, Divina Fig Spread is deeply fruity and complex with notes of caramel and honey. A standout on any menu, we love it on pizza, spread on sandwiches, whisked into a vinaigrette or baked into pastries, cakes and pies. An ideal cheese pairing, this item has endless sweet and savory applications.